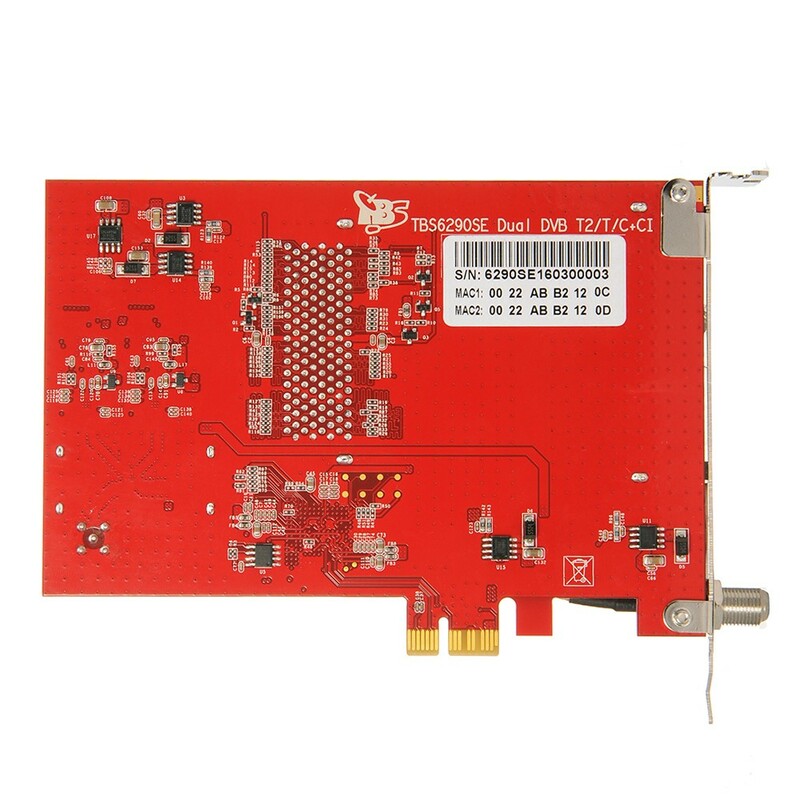 TBS6290SE is the latest DVB-T2/T PCI Express tuner, it’s equipped with dual tuner and dual CI slot, which allows you to enjoy two live terrestrial TV channels from two different frequencies at the same time, and it supports both reception of FTA (free to air) TV channels and encrypted TV channels. TBS6290SE can be used as a digital video recorder for recording digital terrestrial TV programs with full HDTV support. With the time-shifting function, it also enables you to pause a live broadcast and continue from where you left. 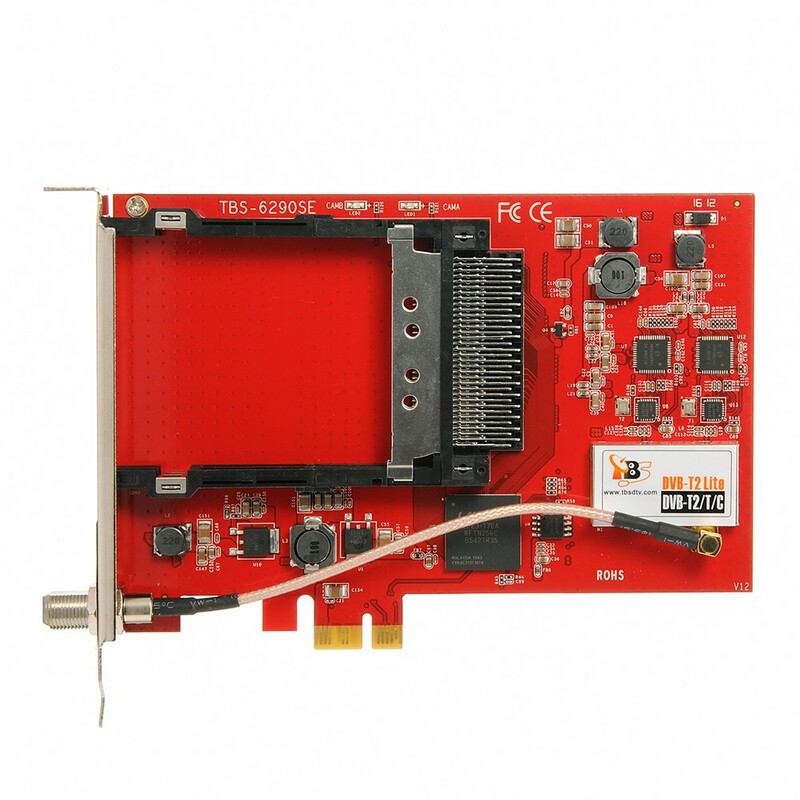 This DVB T2 PC TV card is ready with windows BDA driver and Linux driver. 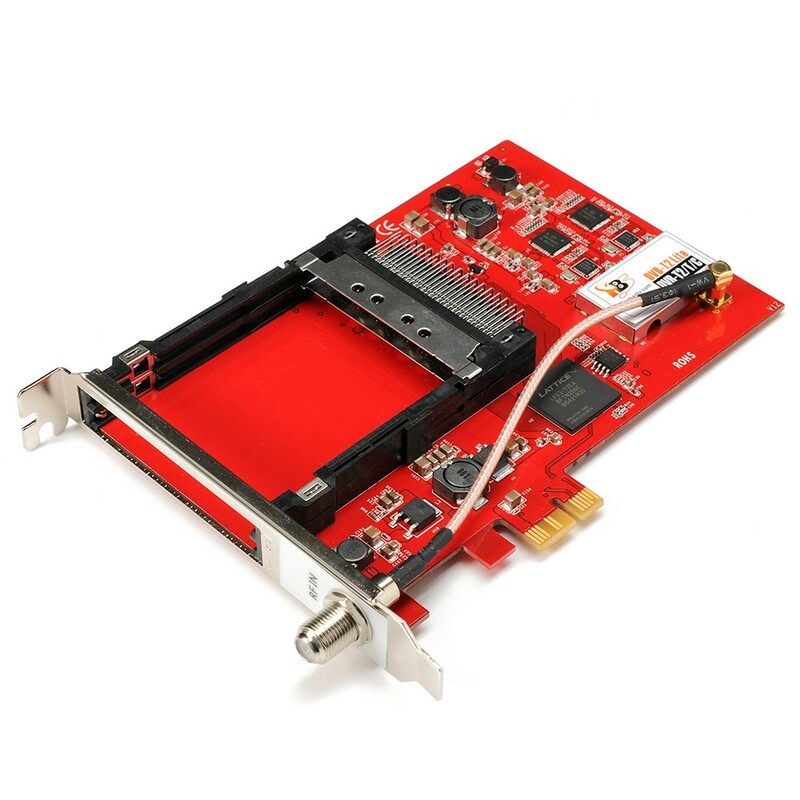 *The TBS6290SEis with PCI Express x1 interface, which is compatible with motherboard that has PCI Express x4, x8 or x16 interface. 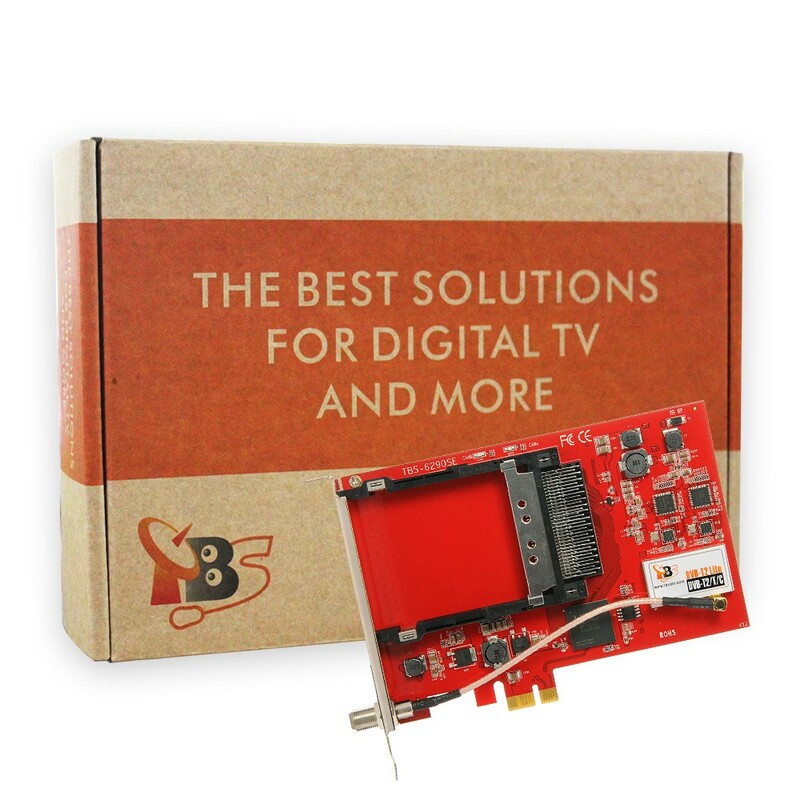 Dose the TBS6290SE support High Efficiency Video Coding (HEVC, H.265) in combination with the "freenet TV CI+ Modul". i have a CI module with card that i connect directly to tv CI port , it write "viaccess" i dont know what is that. Firstly, thank you very much for your email requesting information of our product. It supports "viaccess"
Sorry that TBS tuners don't support CI+ standard at present. I've a TBS6290. I use it for only watch cableTV (DVB-C) with Neotion Non-Pairing Dual Desc. CAM. Works perfectly! Is there any difference between 6290 and 6290SE, because I compared the descriptions of these two card and nothing differences found..
TBS6290SE is the updated version of TBS6290. Please feel free to use it. 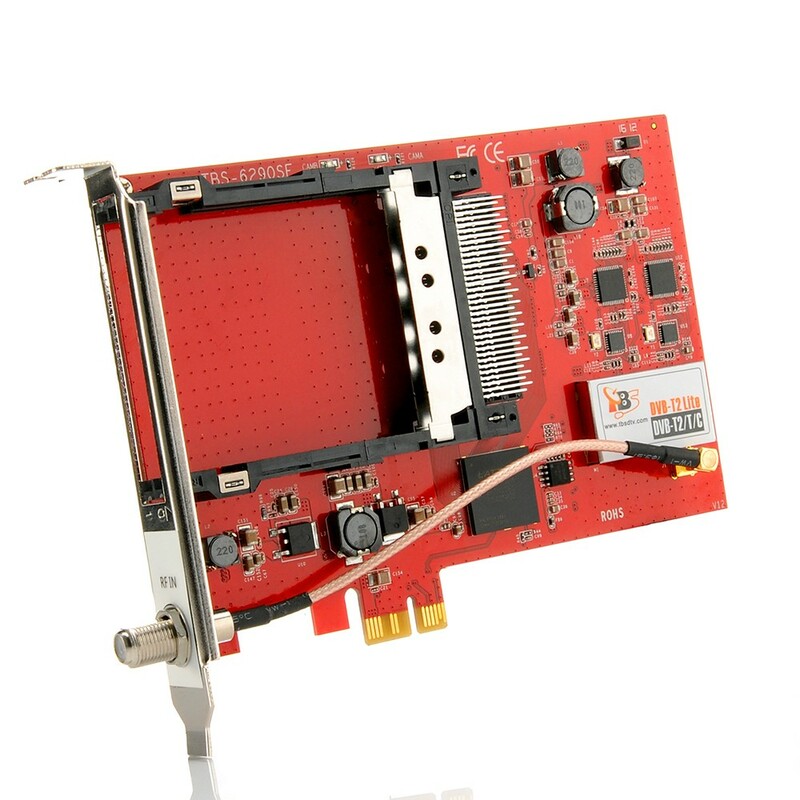 Hello, can i see with this card Directv on my PC, i already have the encryption card and receiver of diretv, i want to know if i can see the signal in my PC. Sorry that we havn't test TBS cards with Directv at present.